Great Roxbury Fire of 1894, which began in the right field bleachers. 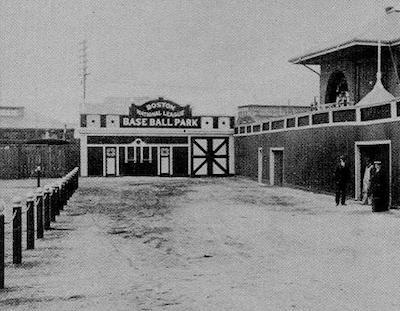 It destroyed the South End Grounds which was rebuilt on the same spot. June 2, 1891: Charles Radbourn gets his 300th win. 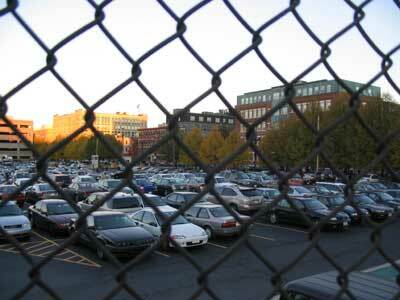 The South End Grounds, which was located across the street from the Huntington Avenue Grounds, was the home of the Boston Braves for 20 years. Three structures stood on this sight, the second one burned down, and all three of them looked like castles. This was Boston's first double decker park. Now Ruggles Station, which is a MBTA (public transportation) station for the Orange Line "T" (subway) and Commuter Rail is located there. 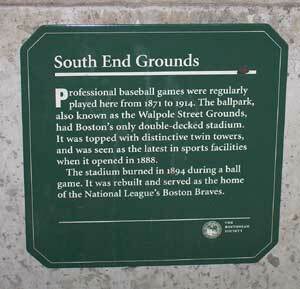 There were actually three South End Grounds that stood on this spot. 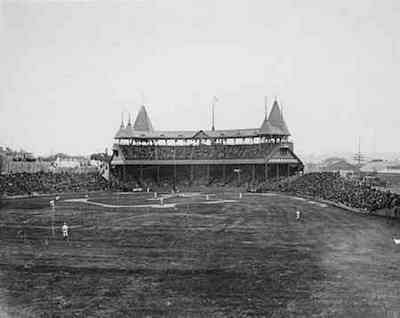 South End Grounds I was in use from 1871 until it was torn down in 1887. South End Grounds II (pictured above) was also known as the Grand Pavilion. This had the famous towers that made it look like a palace. It burned down May 15, 1894. South End Grounds III, was actually smaller than the Grand Pavilion and only had one deck because the previous park was under insured. 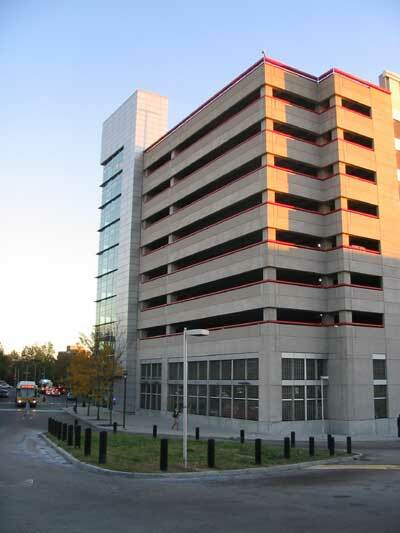 Modern day parking garage, formerly South End Grounds. 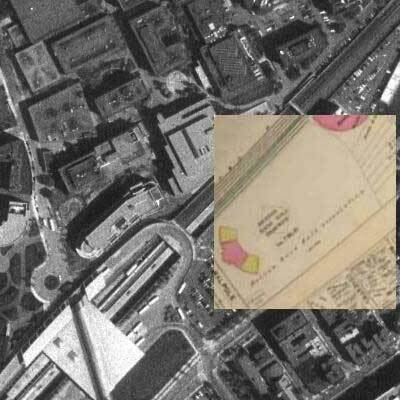 that was around when the field was, in the background still stands. © 2001-17 Paul Healey. Aerial photograph courtesy of Andrew Landry.